Imagine a world in which you are faced with crime and starvation every day and there is nothing you can do to avoid it or make it better. Venezuela was once considered one of the richest countries of South America, but since Nicolas Maduro earned his title as President in 2013, the country has been facing many troubles that have lead to its downfall. The government has become extremely corrupt and the people are affected in the worst way possible that causes them to live in poverty. 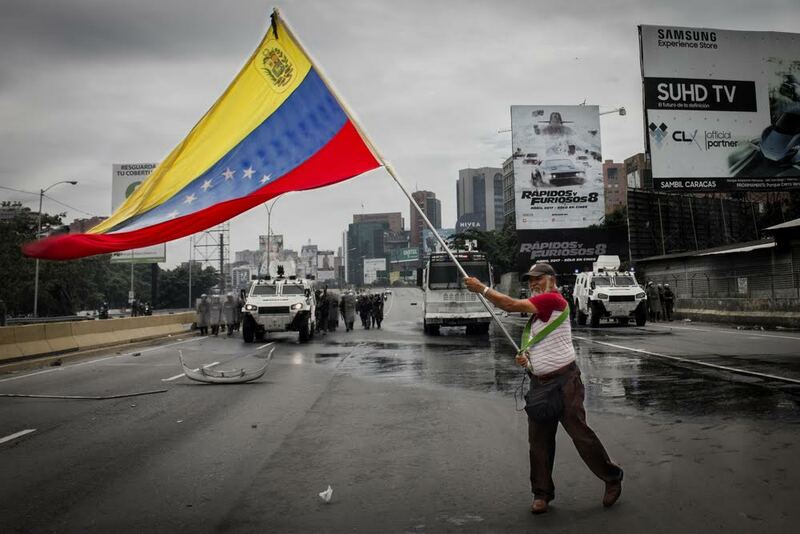 Venezuela is experiencing extreme food shortages, high inflation, and corruption. When Venezuela was a wealthy nation, it was due to the state-run oil industry that their economy relied on. After Maduro replaced former president Hugo Chavez, he inherited the responsibility of the development of Venezuela. This includes a strong economy, a big country, programs run by the government, and long overlooked oil structural issues. These issues were ignored until it was too late. Therefore, when the oil industry stopped providing resources and money, the government could not fund these programs. Since then, Venezuela has become one of the weakest economies in South America and researchers expect it to be like this for some time. Grocery stores in Venezuela are very low on food supplies and the little food that they have is very expensive. Megan Janetsy from USA Today spoke to Lis Torrealba, a mother that left Venezuela in attempts of a better life for her and her daughter in Colombia. The critical situation rises day-by-day since the government is unable to aid the people. Instead of accepting help from ally countries like Colombia, Venezuela’s government has decided to decline the humanitarian aid gifted to them. In one of the latest events in Venezuela, surrounding countries sent humanitarian aid trucks into Venezuela filled with food. The Venezuelan government set these trucks on fire, leaving the whole world in shock. Colombia is one among the many countries that wants to help Venezuela's current situation. According to the United Nations Refugee officials, more than one million Venezuelans have migrated to Colombia and thousands more cross into the country every day. The Venezuelans migrate to Colombia and surrounding countries with the slightest hope to start a new life and make a living. The people of Venezuela are doing their best to ensure their survival, whether it is eating from garbage trucks or starting a new life in a new country. Currently, Venezuela declared Juan Guaido as the country's Interim President. He is supported by millions of Venezuelans and several countries around the world. The streets of Venezuela are experiencing regular people fighting for their freedom against the army in battles and they will not give up.